Largest of our Maxwell selection, the welded metal cans have two terminal variations. Two isolated terminals as shown and the lowest inductance models with single terminal case ground. Allow for extra weight in your design. These beauties are HEAVY Duty. 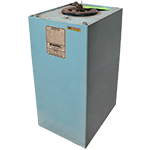 Stainless steel metal case capacitors are impervious to harsh environments. Terminals on each end. Valve allows access to cavity. Cylindrical metal case capacitors with light weight, unique design just right for compact applications. Terminals on top end. Plastic case single ended capacitors with compact design for extremely low inductance, fast rise time applications. Many uses in medical and "RF" environments. Double ended plastic case capacitors have terminals on opposing ends. Plastic compact case designed for extremely low inductance, fast rise time applications. Metal case caps have drawn metal can, double roll seams. High capacity / voltage ratio in small package. All Maxwell prices set below factory cost. Further discounts may be available for large quantities. APPLICATIONS: Cardiac Defibrillators, space based lasers, inertial confinement fusion experiments, hard rock mining, flashlamp drivers, lasers, RF linac, arc lamp, plasma deposition, sputtering and so on! All new unless otherwise marked. 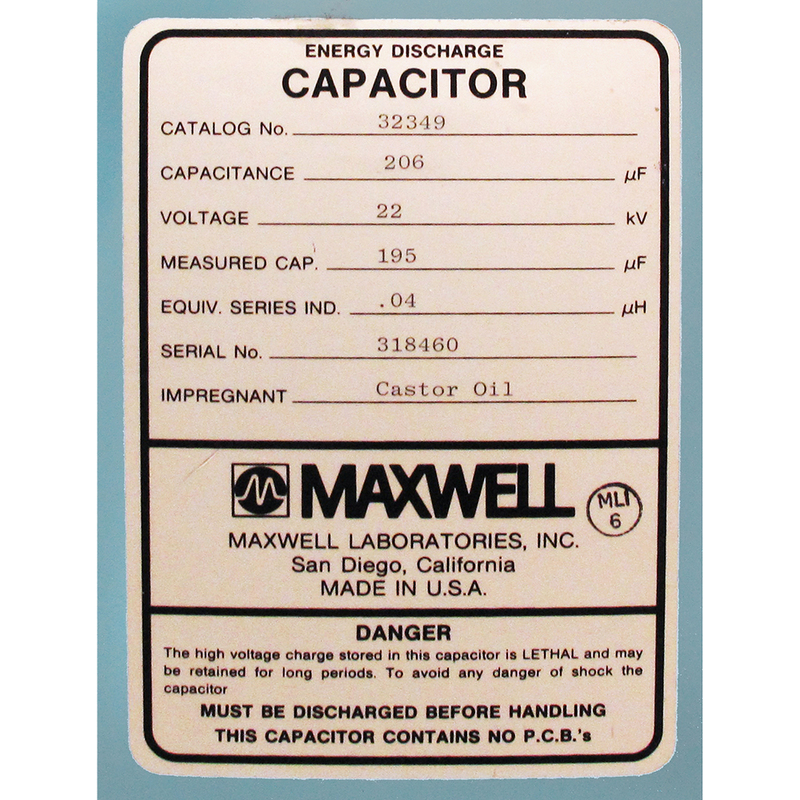 Maxwell Labs high energy capacitor. 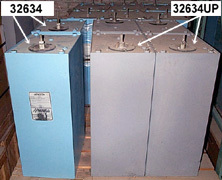 40 µF, 33 kv. 0.05 µH equivalent series inductance. Welded metal, single ended. Like new condition! 8-3/8" x 11" x 29-3/4"H.
Maxwell Labs high energy capacitor. 206 µF, 22 kv. Measured capacitance: 195 µF, Equiv. Series Ind. : 0.04 µH. Used, sold as is. Weighs 350 lbs including skid. Only one available. GE high energy, quick discharge capacitor. 14µF @ 25 kV. 100nH @ 75-100kA, 80% VR. 27-1/2" x 14" x 7-1/4" max dimensions. No PCB. 15KJ rupture benchmark. Used, removed - excellent condition! 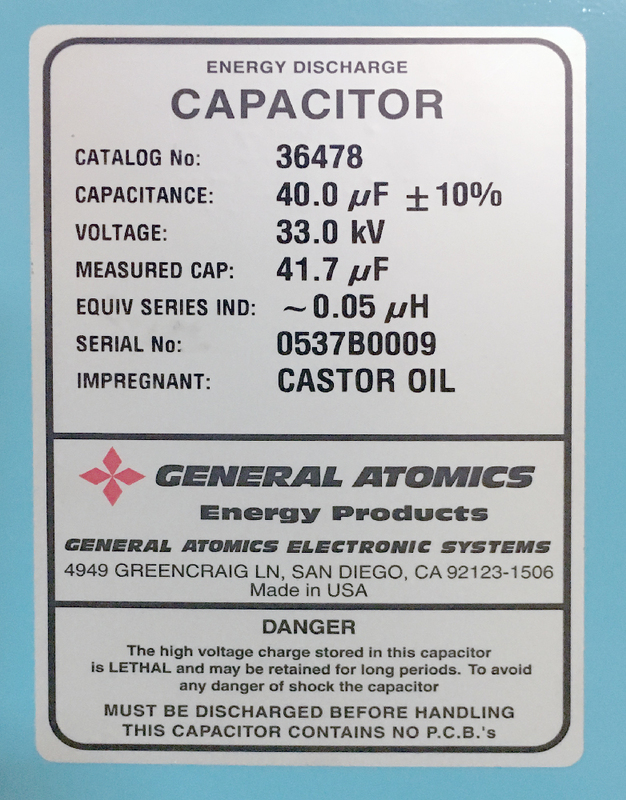 GE capacitor. 52 µF / 22kvdc. 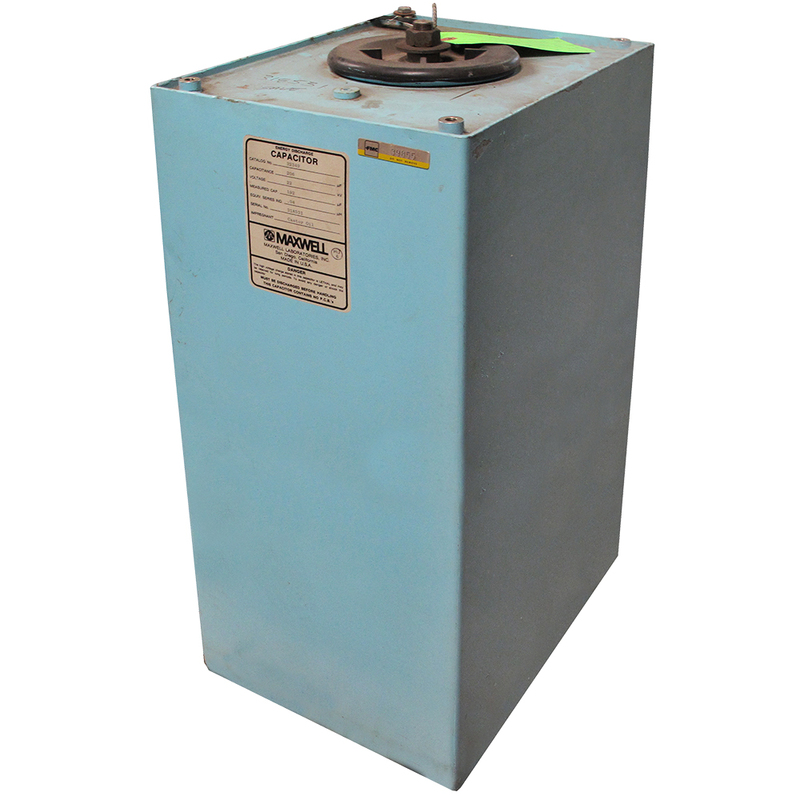 8.5"w x 14"D x 28.5"H.
Maxwell high voltage pulse capacitor. 0.03 µF, 35 kv. Used. 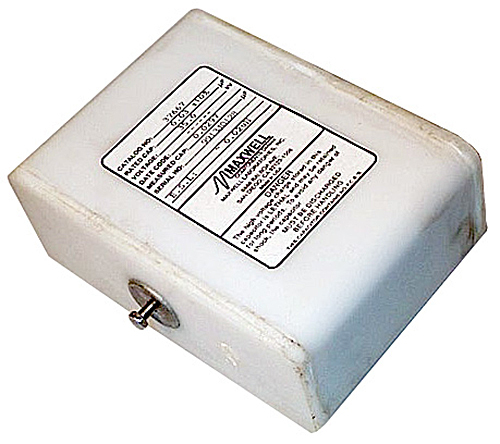 Size: 2-1/4" x 4-1/4" x 6"
General Atomics capacitor. Capacitance = 10 µF, Voltage = 4 kv. Equivalent Series Ind. 0.014 µH. Plastic case. Used. 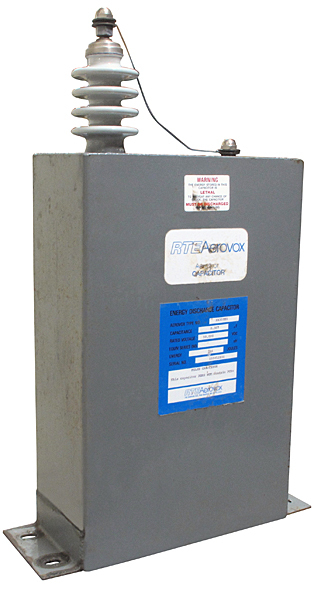 Dimensions: 7-1/2" x 4-3/4" x 7-1/4"
Aerovox quick discharge pulse capacitor. No PCBs. Single ended. Body is capacitor ground. Removed from service. Very clean. 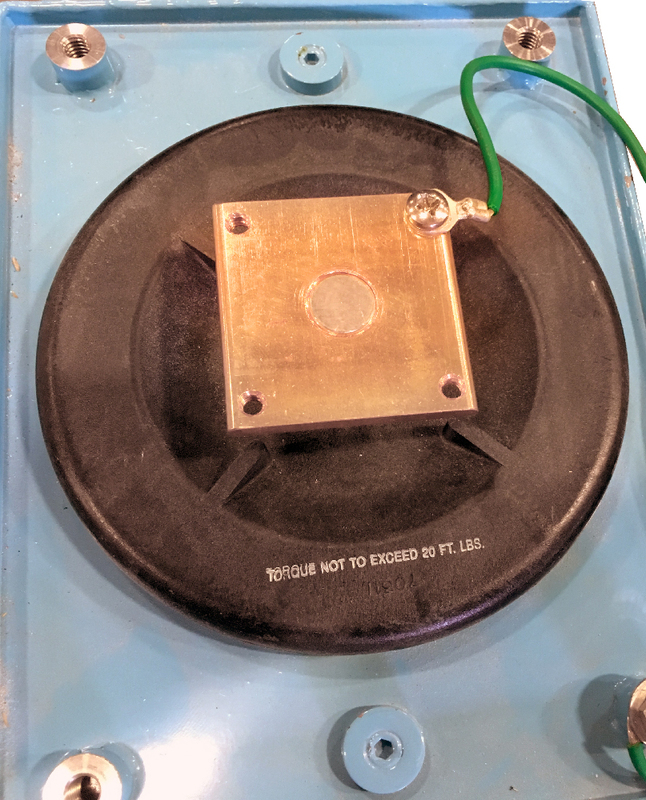 Mounting Plate: 6" x 16"
Maxwell high voltage capacitor. 225 µF / 15kv. Mounting bolt tap centers 8-1/2” x 14”. New, unused. 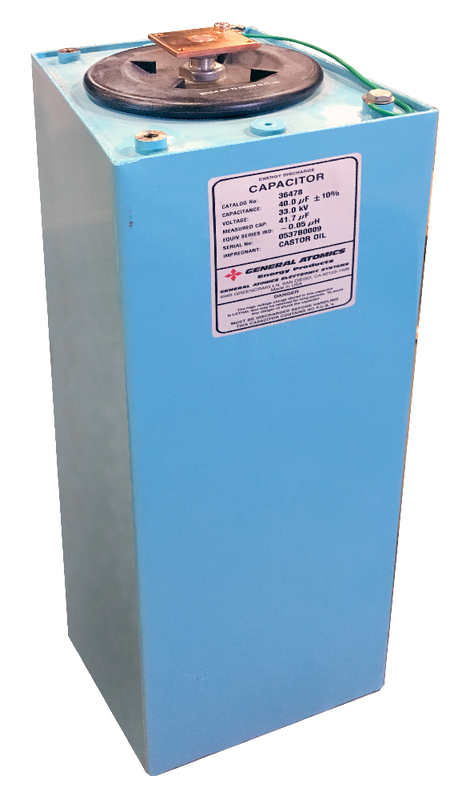 11-1/4" x 16" x 29"
Maxwell high voltage capacitor. 225 µF / 15kv. Identical to (CFO) 32634 above, but case is primed only, no finish. New, unused. Protect your Investment. 270 amps, 22 kv. The ultimate protection for your capacitor bank. 400,000 A2S Let-thru Action. 100,000 A2S Carrying Action. 0.019 ohms resistance. 4-1/2" OD x 12" long + 3/8"NC stud terminals. Brand new. Made by Maxwell. Protect your Investment!! The ultimate protection for your capacitor bank. 850,000 A2S Let-thru action, 210,000 A2S carrying action, 0.013 ohms resistance. 4-1/2" OD x 12" long + 3/8" NC stud terminals. Brand new. Maxwell. (CFO) 36478 40 µF 33 kv 0.05 µH equivalent series inductance. Welded metal, single ended. Like new condition! (CFO) PX11E15 54 µF 2 kv DC Aerovox high energy, quick discharge, oil capacitor. No PCBs. Used. (CFO) 32634 225 µF 15 kv 11-1/4" x 16" x 29"
AEROVOX 1 terminal, ESI=30 nH Maximum. These caps test good but are used, non pcb, remaining life not known. Sold as-is.